Ski and ride gradual beginner, fun intermediate, or gnarly expert terrain all season with the Waterville Valley Resort PLUS or Value Pass. Looking for variety in NH? Check out the White Mountain Superpass, or the College Superpass, featuring the most skiing and riding in New Hampshire. For day tickets, waterville.com has the cheapest prices: buy online and save up to 50%! Ticket & Pass Office Hours: Please call 603.236.8311 x3146 to purchase your season pass. Waterville Valley Resort has a new Gateless RFID ticketing system to make the lift lines faster and provides you with a better experience. Season Pass and Frequent Skier Card holders can upgrade their card to a helmet sticker for just $10. Valid every day of the 2019/20 Season on all lifts plus passholder exclusive benefits, including discounts on retail, on-mountain dining, Bring-a-Friend tickets, and the Waterville Rewards program! 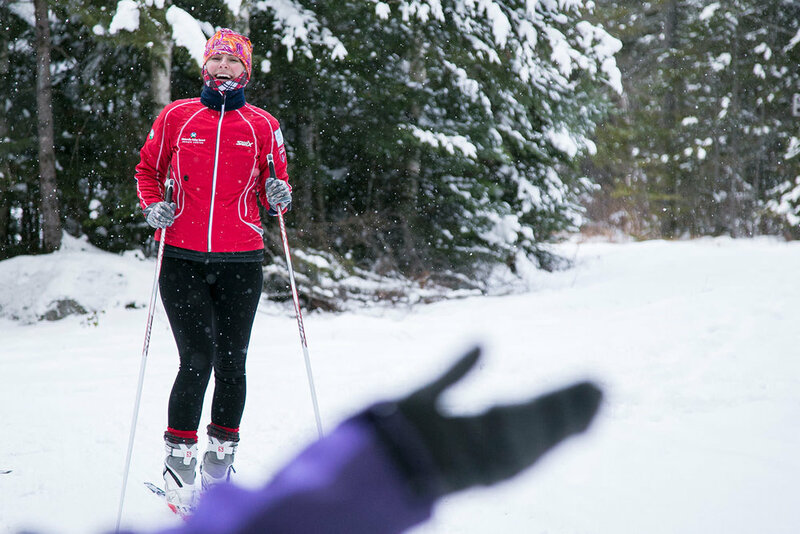 Buy an Adult Season PLUS pass and any kid skis free all season. This offer is valid with the purchase of a 2019/20 adult plus pass only. * Recent College Grads, simply show your College Pass from 2018/19 from any mountain in the country to be eligible. Valid Sunday thru Friday on all lifts, excluding blackout dates*, plus passholder exclusive benefits, including discounts on retail, on-mountain dining, Bring-a-Friend tickets, and the new Waterville Rewards program! Ski & Ride the four leading New Hampshire Resorts for an unbeatable Price! Valid every day of the 2019/20 Season at Waterville Valley Resort, Bretton Woods, Cannon, and Cranmore, offering the most skiing and riding in New Hampshire. All mountains are less than 2.5 hours away from Boston and within an hour drive of each other. Already have a Season Pass? Call 1-800 GO-VALLEY to upgrade your pass to the White Mountain Superpass! Unlimited skiing and riding on all four mountains! Waterville Valley Resort has teamed up with Cranmore Mountain Resort, Mount Washington Resort's Bretton Woods, and Cannon Mountain to offer a college pass for the 2019/20 Season. 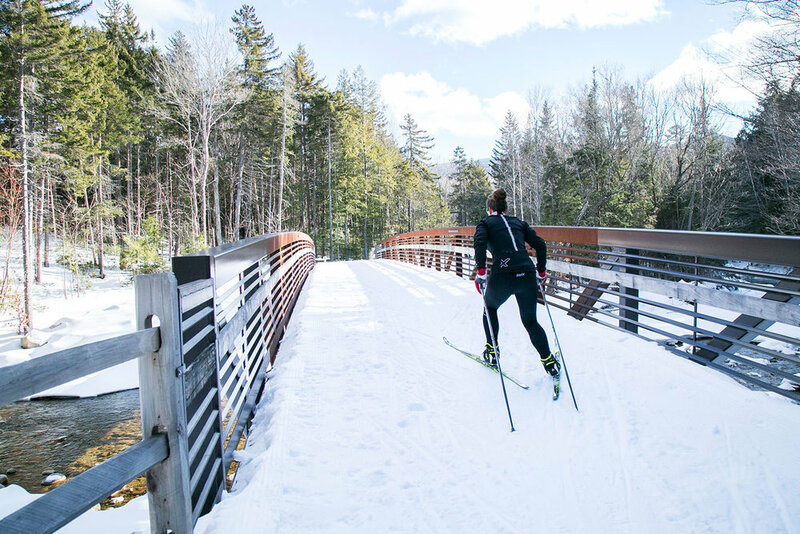 The College Superpass will offer unlimited skiing and riding on 284 trails, 41 lifts, 1,148 acres and 13 terrain parks, making it the college season pass with the most skiing in New Hampshire and No Blackout Dates! ***To qualify for the College Superpass, students must show a current student ID plus proof of full-time enrollment (9 credits as of fall 2019) with a letter from the registrar's office) presented at time of pass pick-up. Grad or Undergrad. Valid Sunday thru Friday, excluding blackout dates*. Also includes: Nordic access every day prior to December 24, 2017 and every day after March 20, 2019. Make it easy for yourself and family. Purchase a Seasonal Locker! Take advantage of our Valet Service all season with a Valet Season Pass! Price is subject to change at any time. This is a limited time offer while supplies last. Offers cannot be combined. No cash value. Price for a season pass upgrade will be the selling price in effect at the time of the upgrade less the original purchase price. All passes are non-transferable and may not be used by any person other than the rightful holder hereof. Misuse or abuse of all passes will be subject to prosecution and/or other penalties. All passes are nonrefundable. Photo ID required at time of pass pick-up. Fee for replacement and forgotten pass. In the event of relocation, injury, or long illness, passes may roll over to following season with approval. * 2019/20 Blackout dates include: 12/25/19 thru 1/1/20, 1/18/20 thru 1/20/20, 2/15/20 thru 2/22/20. *Bring a Friend bonus valid on (1) full-priced adult lift ticket per day. Cannot be used for a Lower Mountain lift ticket and cannot be combined with other offers. **Child, 5 & under, FREE. $25 processing fee applies. All ages are as of January 1, 2020.